Stay 3 nights in Tehran and get transfer to airport for only 9 EUR! These offers are available to Apochi customers. The discount will be applied to the price only with your hotel confirmation code. Prices displayed include the promotional discount and are per room based on two people sharing a room. Blackout periods may apply and a minimum hotel stay of 3 nights in Tehran is required. Offer is subject to limited availability and may be discontinued without notice. Savings are not available on hotels in different cities. If you stay less than 3 days in Tehran, or if you need to set transfer from the Tehran airports to any hotel in the city center of Tehran, you still can arrange your transfer services in Tehran online via the following link. Don’t forget that you can arrange a van, middle bus or VIP buses. Other special services such as English language driver guide, welcome drink, VIP cars etc. are available with extra charge. These transfers operate with budget cars. Suitable for 2 passengers and 2 mid-size luggage. If you are a bigger group, then you should apply for new transfer services to the airport. If you stay less than 3 days in Tehran, or if you need to set transfer from the Tehran airports to any hotel in the city center of Tehran, you still can arrange your transfer services in Tehran online via the following link. Don’t forget that you can arrange a van, middle bus or VIP buses for groups or individuals. Other special services such as English language driver guide, welcome drink, VIP cars etc. are available with extra charge. Mehrabad Airport is for domestic flights. It’s ~ 10 Km far from the Tehran city center. Baggage allowance for Iranian domestic flights is listed here. Imam Khomeini International Airport is for the International flights. It’s almost around 45 Km far from the city center. Upon your arrival to Iran, you need to have cash if you need to pick up your visa. USD, EUR, GBP are acceptable currencies for the visa department. Visa stamp fee is different based on passenger’s nationalities. If you are looking for a hotel close to the airport, Asareh Tehran Hotel (4*) is the closest one to Mehrabad airport and Ibis IKA airport hotel (4*) and Novotel IKA airport (5*) are the nearest to the IKA airport. Ibis Tehran IKA airport (4*) and Novotel IKA airport hotel (5*) offer a free shuttle to the IKA airport. The distance between 2 airports is ~ 1 hour by car. In rush hours, it may take up to 2 hours. For booking flight tickets, you can apply online via apochi.com. All domestic and international flights in Iran are listed there and you can book it with all major credit cards. 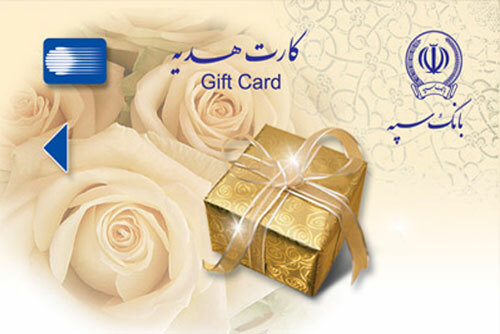 If you need to withdraw money from your credit card, the only available option in Iran is to buy a tourist card online or you should visit www.apochi.com support office in Tehran (Bucharest Tower, Bucharest St., Tehran, Iran). The exchange rate will be based on the Central Bank of Iran (www.cbi.ir). If you are looking for public transportation services, Metro has access to both airports. You should pay attention to terminals and time schedules of trains. All mentioned information on “Tehran Transfer Services” page may change without notice, based on changes on prices, accommodations around, offers and new transportation services in Tehran. Uber taxi doesn't exist in Iran, you can use Snapp, Tap30 or Dinng instead. But having Iranian mobile number is required by all mentioned applications. You should have the cash for payment or you can order Iranian Bankcard with your credit card, to have access to all ATM machines and POS while you are traveling in Iran.